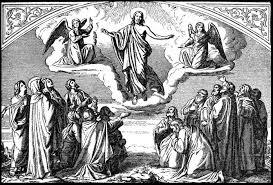 IMAGINE YOU ARE AMONG THE TWELVE as they walked to the Mount of Olives with Jesus on the day he was ‘taken up’ from them at the Ascension. What words were exchanged between them? What did Jesus say to each one? Did he spend a little time with each one individually? What do you think he said to Mary his mother, who was most likely with Him on that very special day? If you had been there what do you think his parting message would have been to you? When a family member is dying, and they know it and are fully conscious, we treasure their final words to us as a testament, a legacy that they wish us to hold dear. There is no moment more poignant than that moment, and the personal exchanges between the loved one and family are forever precious. 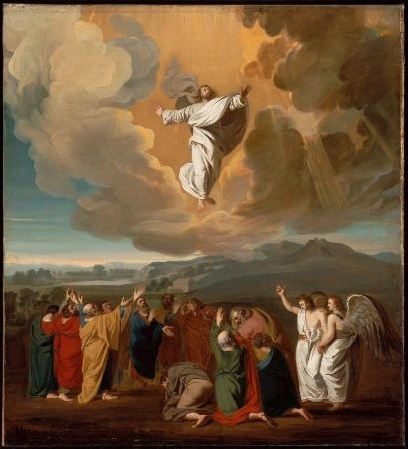 How can I understand the Ascension as an important part of my life as a Christian? First, ask yourself: Am I a disciple of Jesus? If your answer is ‘Yes, of course! Otherwise I would not be here in church reading this bulletin!’ Then ask yourself the obvious question that arises from Jesus’ word to you – and all his disciples – at his Ascension about the Good News: Has your life been a constant PROCLAMATION of the Good News of Jesus? Today’s very special feast offers us a direct challenge – to witness to Jesus at every opportunity that arises; not to shirk our responsibility as disciples. This challenge does not rest only on the shoulders of Apostles or ordained ministers, or Religious Brothers and Sisters, it rests on every disciple. So how do we do it? 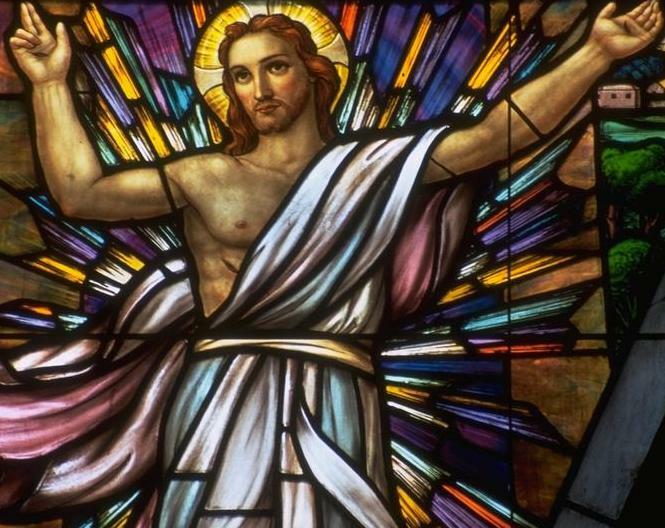 How have I responded to this personal word of Jesus to me at his departure on Ascension Day? My sporting / activities circle. How many of these are aware of my commitment to Jesus Christ as one of his beloved disciples? Have they felt my ‘passionate commitment’ to Him – through love, care and service of those about me? “Aye, there’s the rub.” …as Shakespeare would say. Recall the phrase in Acts of the Apostles: “These Christians, look how they love one another!.” Can it be said of me, of you, of us, as a worshipping community in Corowa, there is a ‘Christian culture’ that goes beyond turning up for a weekly Mass and is expressed in generous service to different ones around us who stand in need of our support? Consider St Francis of Assisi’s words: “Preach the Gospel always, and sometimes use words.” When our love for God and Jesus is passionate, it will find generous and creative expression in lived Christian love i.e. Christ-like compassionate charity. Shirley Ash, Tommy Upton, Kevin Seymour, May Houlihan, Joan Sandral, Kevin Lovell, Imelda Gauci, Pauline Kerr, and all mentioned on our In Memoriam Board for this month. Caritas Australia Nepal E-quake Appeal 16-17 May. Use special appeal envelope for donations. Leaving Collection at Masses this weekend. CARE Meeting St. Johns Hall Tues. 19th 7.30pm. Monthly Adoration Days Thanks to all who responded to the Adoration Questionnaire. Our first day will be, fittingly, Sunday 7th June, the feast of Corpus Christi. In consultation with Fr Paul, the first Sunday of each month will be Adoration Day for the parish. Ten respondents suggested 8 hours; 6 suggested 4 hours; 1 suggested 3 hours. On account of winter and our starting time of 10am, we will conclude at 5.00pm, i.e. 7 hours of adoration. 9 Respondents suggested monthly adoration; 4 said ‘weekly’; 3 said ‘Spec. Feasts only’; 1 said ‘twice yearly’. The large Monstrance will be used. Adoration will be in Our Lady’s chapel, thereby encouraging closeness to the Lord and avoiding heating costs in the nave during winter. If Father is available Adoration will conclude with Benediction. It’s great to be welcoming new subscribers to the Journey each week and I really encourage you to share this email with someone you think might like to listen to the show. They can subscribe by clicking here. It’s easy to access while tapping away at your computer or Bluetooth it to your car audio system. We have some really good inputs this week including Sr Hilda Scott OSB from Jamberoo Abbey sharing how important one simple word can be and Bruce Downes reminds us of our true identity through the eyes of God. It’s also great to welcome back Fr Graham Schmitzer with his Gospel reflection! Follow the links below to access any or all of the highlights or just listen to the whole show. It doesn’t get much easier than this to experience faith, hope, love and life. Spread the Word – as Jesus asked you.